Are you looking for that one thing that will take your event to the next level? Zdany Chisholm is the one for you! Whether you're looking for a soloist, duo, trio or full band, he can cater to all of your needs. He has a diverse repertoire and operates in excellence. His music will speak for itself and you will not be disappointed! Zdany is a full-time musician, vocalist, and producer with over a decade of experience in performing and recording. Based out of Atlanta, Ga, he has performed for numerous artists, local clubs/restaurants, charitable and corporate events, private weddings, and has toured internationally performing on main stages for thousands of music lovers. I can’t say a big enough THANK YOU to Zdany and his incredible team of musicians for being a part of my husband’s surprise birthday party. Working with Zdany was a pleasure – he’s very professional, timely with responses, and was kind enough to accept a special request for the event. Additionally, my family and friends were incredibly impressed with the great musicality and highly skilled performance Zdany and his band provided. We all had such a great time dancing to his music and were grateful for the seamless transitions from song to song. The CLIVE Experience was by far my favorite part of the party and all of my guests agreed. He was worth every penny and I sincerely look forward to working with him again. Hey Kisha, thanks for the awesome review. It was pleasure and privilege to work with and perform for you allTalk. Thanks for partying the entire night with the ZCLive Experience. I'll be on the look out for your call for the next event. Talk with you soon. Zdany and the team played at our wedding during the ceremony and during our cocktail hour. He went out of his way to coordinate a song for our wedding and I was told during the cocktail hour folks were dancing and having a great time. We could not have been more happy with our experience with Zdany and would highly recommend him and his band. Zdany and his band was the most requested entertainer at my last event in 2015, so we decided to invite them back in 2017, and they did not disappoint. The music was spectacular right out of the gate, and of extremely high quality. Zdany is a very professional musician and extremely flexible with your playlist. If you want satisfied guest at your next event, I highly recommend booking Zdany and ZCLIVE Experience!! Hey D, thanks again for having us back, you always put on an awesome event. This year you definitely took it to the next level. We’re looking forward to being apart of the next one. Continued blessings and success to you and yours sir. I hired Zdany for my wedding to play while my guest waited so I never actually heard him play but my guest were soooo impressed with his music. The kept talking about him days after the event .Thank you Zdany !!!!! ZClive was awesome. I will definitely book him again. My guest and I enjoyed all of his tunes. I would've given him 5 stars but he arrived a little late, after the event start time. Zdany was a hit at our cocktail hour! The guests loved him and he played the saxophone beautifully. Hey Ashley, thanks for the review and having the ZCLiVe Experience to be apart of your special day. I had a great time playing for your guest. If you ever need me in the future, just let me know. Oh my goshhhh he was amazing!!! My husband and I got married last night and we hired Zdany for our cocktail hour and wedding dinner. Let me tell you, our family is still raving about his performance. Our guests were floored by his talent and his tribute to us was magical!!! I can't wait to have another event so I can use him again!!! He is uhhhhhmazing!!!! We hired Zdany to play at our cocktail hour during our wedding. We didn't have to give him much direction, all we sent him was a list of musicians that we like and he took it from there. Thanks Zdany, for great music during our wedding. Our guests absolutely loved you! Hey Jerry, thanks for the great review. We had a great time last night and look forward to seeing you guys again in two weeks. Zdany Chisholm was professional and played great music! His music helped create a wonderful atmosphere for our event! I cannot say enough great things about Zdany and the service he provided. My wedding day was absolutely perfect and his talent helped elevate the romantic ambiance. His selections were right on queue and fit perfectly with the ceremony. After the wedding everyone expressed how much they loved the saxophonist! Now I am trying to think when we will have another event, so I can book Zdany again. He is professional, prompt, and truly talented. Hey Mrs. Jones! Thank you for your thoughtful words, it was indeed an honor to be apart of your special day...you were beautiful! I'll be ready when you need me for that next event (FYI: I do house parties too). Congrats again and continued blessings. Everyone loved the band. They arrived on time, were easy to work with and played awesome music! Hey Debora, thanks for the awesome review. We had a blast and look forward to performing at Jazz Around the Pool next year. Thank You Theresa, I had an awesome time performing for your family. I look to work with you again in the near future. My Event Was a Success! Zdany (ZCLIVE) performed as a trio (sax, piano, drums) at a barbecue I gave at my home. The performance was superb...simply outstanding. My guests were really impressed with these young men. They were very professional, respectful and friendly. Zdany is extremely talents. We all thoroughly enjoyed his music. I will hire him again for future events. Thank you Zdany for making my event a success. Thanks Angela...we had an awesome time playing for you and your guests. I'll be waiting to hear from you about that holiday party. My event was a surprise Tribute to My Mom. From the very first conversation I had with Zdany to the very end of his performance at my event, was an excellent experience. Zdany was professional, accommodating and very skilled at his craft. Planning my event was a very stressful, but Zdany added no stress to my plate. It was quite refreshing to see him making needed adjustments with ease. The night of my event, his performance was outstanding! He and his band had my guest out of their seats and on the floor dancing to their smooth jazz and soulful R&B. Everyone had a great time. Many of my guest raved on and on about how awesome the band was. Zdany really helped make it a night to remember for my mom and my guest. Thank you. I am looking forward to working with Zdany in the future. He is my go to for live entertainment. Thanks Tonya...it was a pleasure rocking out with your family! Zdany was fantastic. Can't say enough great things. Supremely talented musician. Would hire him again and again. The ZCLIVE Experience provided the perfect entertainment for our event! He was a pleasure to work with and very responsive to all my inquiries. I look forward to working with you again! Thank you Mary for the awesome review! It was a pleasure working with you as well. Hopefully, we can workout a live music situation in some of your venues soon. Live Band stole the show! Zdany and his band started the program with original music and other selections. At the end of the set, they performed a special song for my mother and Zdany performed right at her seat. The music was very soothing and exciting......one for the ages. I will definitely invite them to an even bigger venue soon as I can. Hey Demetrius, it was a pleasure being apart of your awesome event and a honor to regift that song to your lovely mother. Nothing like seeing her tears of joy :)!! Definitely looking forward to working with you again in the future. Thanks for the great review. Many struggle to find their destined identity; strenuously taking different paths in hopes of finding what truly fits, but there are others that emerge fully formed with their own-identity established. Zdany Chisholm fits firmly in the latter category. His debut album, Genesis, a creative fusion of contemporary smooth jazz and R&B is attractive, sensual, and soulful to say the least. From a young age, Zdany Chisholm was drawn to music. Humming, banging on blocks, pots, pans, and singing: these all began in toddlerhood. Once he picked up an instrument for the first time, there was no turning back. That first instrument was the drums by the way. After some time,​ he started playing the piano, taking after his maternal grandmother. Zdany found a natural aptitude to quickly learn how to play instruments and music by ear. He later picked up the trombone, finally settling on the saxophone. 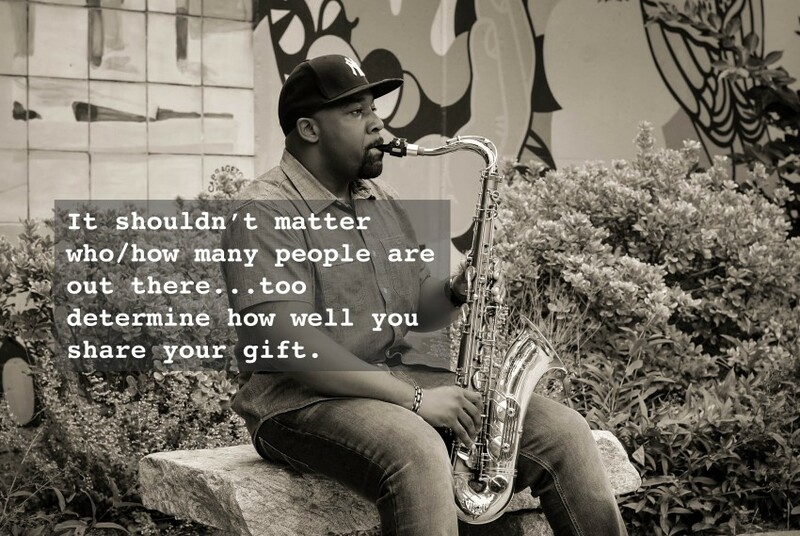 Zdany affirms, “There is just something about the saxophone; somehow it has the ability to connect the soul of the player to the listener.” By high school, the dream crystalized of becoming a professional musician. Years of developing his craft, style, and voice, Zdany is now on the road to being the professional saxophone player he wanted to be. If you’d like to work or hire a musician you can count on getting the job done, Zdany Chisholm is available and ready to assist you in all your musical needs. 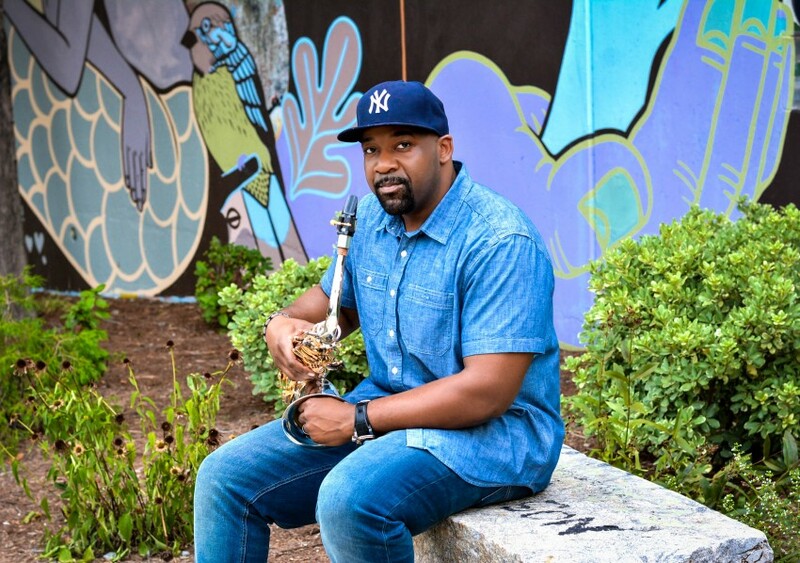 Now based out of Atlanta, GA, saxophonist, vocalist, producer and composer, Zdany Chisholm, has played his way from the kitchen floor, to stages and concert halls all around the world. Zdany has performed for mayors, dignitaries, and for numerous charitable events. 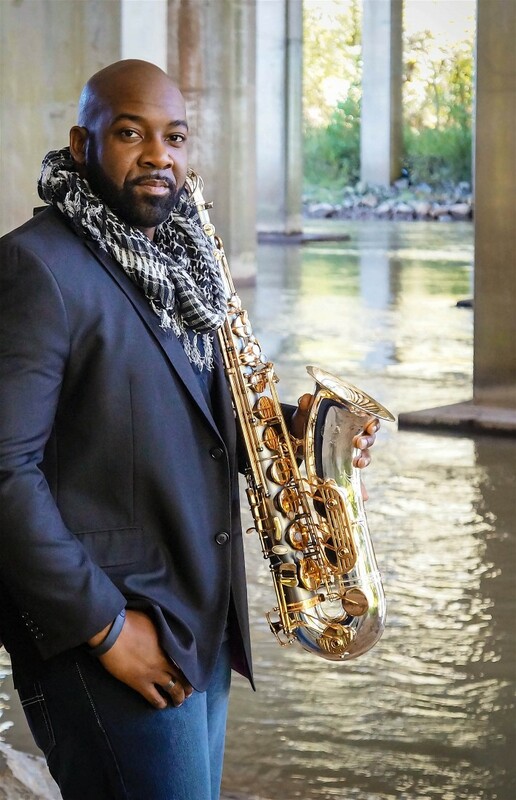 He has toured as the solo saxophonist for international recording artist, Cody Chesnutt, whose unique musical styling fuse elements of rock, funk, soul, blues, and hip hop. Zdany’s soulful sax and horn arrangements are currently featured on Chesnutt’s latest album, Landing on a Hundred. 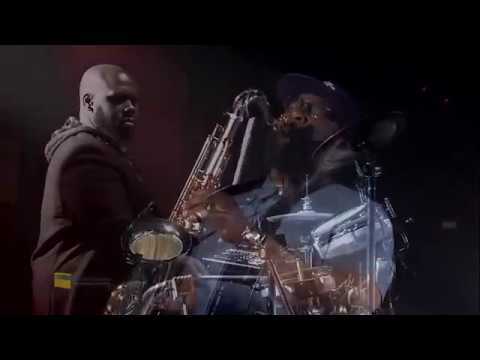 In 2011, Zdany performed at the legendary Montreux Jazz Festival in Switzerland sharing the stage with Larry Graham and Bootsy Collins. Among other notable artist he's worked with, in 2016, Zdany had the opportunity to perform with American singer, rapper, producer CeeLo Green. Zdany’s currently staying busy working on new music and building his fan base by performing locally and on the road with several bands, wanting to always be in the right place, at the right time. He strives continually to stay meek and grounded even with all the many blessings and opportunities. Notable companies such as Sax Dakota, Bari Woodwind, Reunion Blues, Gator Cases, and Silverstein Ligatures currently endorse Zdany. "Only what you do for Christ will last," says the humble man as he quotes his mother’s resounding words. This is only the beginning for Zdany, and he’s definitely up for challenge of carving out his place in this enormous realm of music. We provide custom music or a tailored song list that will meet your requirements. Typically, the setlist will range from Motown/Oldies (but goodies) to current chart-topping hits. Also, if you do not have a sound system, I will provide the sound equipment as well as tracked music to play during breaks to prevent any dead space. I am mostly influenced by Life and Love! My musical influences are great in number, but to name some (in no particular order): Kirk Whalum, Gerald Albright, James Moody, Maceo Parker, Coleman Hawkins, Ornette Coleman, Cannonball Adderley, John Coltrane, Charlie Parker, David Sanborn, Boney James, Dexter Gordon, Joshua Redman, Jim Snidero, Quincy Jones, Stevie Wonder, James Brown, Earth Wind & Fire, Tower of Power, Prince, Snarky Puppy, Lettuce....the list is endless.